As if the release of Manos: The Hands of Fate from a newly restored master on blu-ray weren't enough, we just got word that original Manos cast member Jackey Raye Neyman Jones is launching a KickStarter campaign to fund a sequel, Manos Returns. Jackey Raye Neyman Jones, who played the little girl “Debbie” in the classic B-movie “MANOS - The Hands of Fate” is launching a Kickstarter campaign January 30th to fund filming of a sequel: MANOS Returns. To receive funding, the project must reach its goal of $20,000 by March 1st. MANOS Returns is a tongue-in-cheek return to Valley Lodge. It follows a group of young would-be filmmakers who learn their favorite movie, “MANOS - The Hands of Fate,” was based on a true story. They set out to visit the site of the events that inspired the original and of course they find more than they bargained for. Jones is producing the project, which will be directed by award-winning Seattle filmmaker Tonjia Atomic (Plain Devil, Hobo with a Trashcan). If the Kickstarter campaign is successful, MANOS Returns will be finished in time for the 50th anniversary of MANOS, November 15, 2016. The bulk of filming will take place in Oregon this summer. Cult classic film “MANOS - The Hands of Fate” was immortalized by Mystery Science Theatre 3000 and is considered by many to be the worst movie of all time. The Kickstarter launch date for MANOS Returns is the same date MANOS premiered on MST3K: January 30th. Fundraising for MANOS Returns began with a successful t-shirt campaign last October, aimed at procuring start up costs and, most importantly, funds to film scenes with Tom Neyman, The Master from the original MANOS, and Jones’ father. 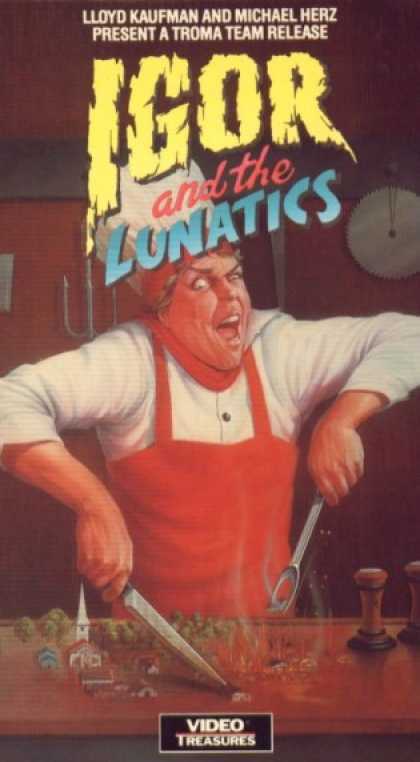 The production aims to involve as many people from the original movie as possible: Jones and Neyman; Diane Mahree, who played Maggie; and Nicki Mathis, the vocalist from the MANOS soundtrack. Project backers pledging at the very accessible $5 level will be treated to a digital download of a brand new recording of “Forgetting You” by Mathis. Backers also have the opportunity to simply pre-order a digital download or DVD of MANOS Returns. Or they can donate at higher levels for a variety of other perks, including a walk-on part in MANOS Returns and dinner with Jones and Atomic. Other core MANOS Returns staff are talented B-movie crew veterans: Tallahassee-based writer/editor Steve Foley, and DP Joe Sherlock of Oregon’s Skullface Astronaut. Cult-movie favorite George Stover (Female Trouble, Alien Factor) and puppeteer Rachel Jackson of MANOS - The Hands of Felt fame will also have small roles. Speaking of Hands of Felt, the puppets-only retelling of Manos was released on DVD and via digital download back in 2014. 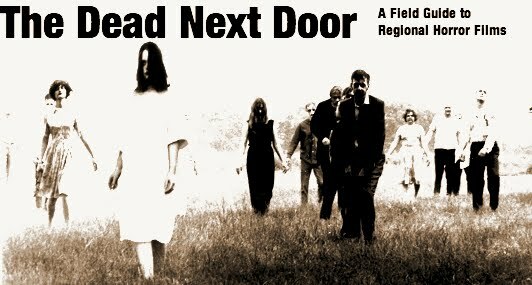 Ohio producer/director J.R. Bookwalter has launched an Indiegogo pre-ordering campaign for an upcoming "25th Anniversary Ultimate Edition" bluray of his first feature, the shot-on-Super 8 zombie epic (and namesake of this blog) The Dead Next Door. The 3-disc set will launch whether or not he reaches his campaign goal, but if you're willing to pledge you can get early access to the limited edition release. The set will include four (!) unrated versions of the film, two of them created from a brand-new 2K restoration using original film elements. The remastered version will be offered in both the original 4:3 aspect ration and in a new 16:9 cropped widescreen option. the two previous VHS and DVD versions will also be included (along with all of the original extras). The set will also include some a new commentary track, a new trailer, and a CD that includes the original soundtrack and some previously unreleased tracks from the film. This very early direct-to-video horror anthology from Tim Ritter and Co. led to Ritter's most infamous project, Truth or Dare? And there's a sequel! Here's a Troma release from NYU film school grad and award winning playwright Jocelyn Beard. Director Billy Parolini is producing a documentary, A Man Called God, about actor Christopher St. John and cult leader Sai Baba. 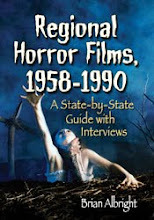 The Dead Next Door is a blog about regional or "backyard" horror and science fiction films made from the late 1950s to the earlyl 1990s (and beyond). These films were released during the peak years of independent film production, created by a motley crew of seasoned pros, gifted amateurs, and enthusiastic genre fans, along with dozens of eccentric dreamers -- doctors, lawyers, insurance salesmen, publishers, commercial filmmakers, TV production crews and moonlighting pornographers -- all looking for their big break or a fast buck or both.